This is an order to buy or sell currencies, where the trader specifies a certain sum, which is the minimum requirement for the trade to be executed. Limit orders should be used when you want to place orders at higher or lower prices than the current currency trading price. This order is useful if you expect the currency to behave a certain way, and rise or drop substantially in currency online trading. In limit orders the currency trading participant chooses the price to place the limit on, and the duration the trade will stay active. GTC, or a Good till cancelled order: This is a limit order that stays relevant until cancelled by the trader. GFD, or a Good for the day order: This limit order stays active until the end of the trading day. This is usually set at 12:00 GMT. Placing currency trading Limit orders can be a bit confusing and can involve many factors, so make sure you understand how to place it the best way possible. Buy Limit Orders are marked below the current currency price, to make sure you buy the currency in a figure which is lower than the usual currency price. 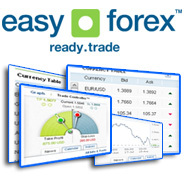 Subsequently, sell orders are placed above the current currency price to make sure you sell the currency with a profit. In a limit order the trader specifies the price to buy/sell the currency pair, and also the duration for the order to stay active. When you trade with currency trading stop loss and limit orders at the same time, an OCO (order cancel order) should be placed as well, to make sure one of them is cancelled if the other is reached.